Established in 1991 and with over twenty years of experience, Lexington Law has helped its clients remove over 12 million negative items from their credit reports. As an industry leader, Lexington Law is eager to help you raise your credit score by utilizing their established program while selecting which option works best for your situation and budget. With three levels of service offered, you’ll be sure to find the right product. Lexington Law has created an easy-to-use program designed to raise your credit score and allow you to gain financial freedom. Once you’ve obtain your free credit report from each of the three major bureaus, TransUnion, Experian and Equifax, Lexington Law will immediately begin their review. They will always keep you informed of their progress, which you can track 24/7 on their detailed website. Lexington Law’s knowledge, experience and attention to constantly changing Federal laws allows you to leave your credit repair in the hands of a trusted and proven system. Lexington Law Offers three levels of service designed to fit your specific needs. The entry-level package, known as Lexington Regular, costs $59.99 per month. The intermediate-level package, Concord Standard, costs $79.95. The highest level package, Concord Premier costs $99.95. In addition to the monthly plan fee, each package is subject to a one-time $99.95 setup fee. As each package includes a different set of features and offers a different degree of credit repair, contact a Lexington Law representative to help identify which areas of your credit history require the most attention and determine which plan will best enable them to effectively improve your credit. 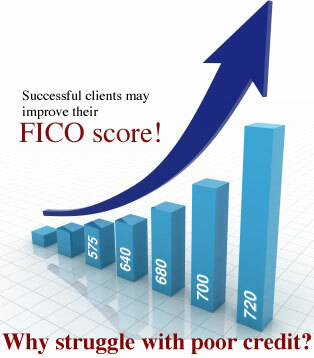 A poor credit score can prevent you obtaining everything from a credit card to a car loan to a mortgage. Even if you are able to obtain credit-based assets, the chances of a higher, unmanageable interest rate are very good. High interest rates lead to higher monthly payments which may cause you to fall behind, only perpetuating the poor credit cycle. Gaining good credit is essential to the financial freedom everyone wants. If you want to better your financial life, Lexington Law’s trusted, knowledgable and dedicated team can help you do so. 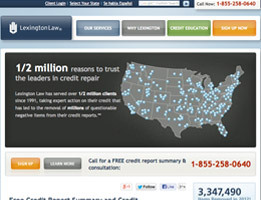 Lexington Law is a leader in the credit repair business. With over twenty years of experience and over 500,000 clients served, operating at the highest level of customer service is something Lexington Law has mastered. Their knowledgeable staff is eager to help and will work tirelessly to remove as many negative items from your credit report as possible. As repairing your credit and obtaining financial freedom is crucial, it’s plain to see that The cost of bad credit far exceeds the minimal cost of Lexington Law’s credit repair packages. Thank you for reading our Lexington Law review. 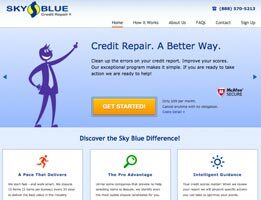 After being unemployed for 2 years, I desperately needed help to clean up my credit. It seemed that my report would change unexpectedly and for no reason at all. Even when I got back on trak and made all my payments ontime, I noticed my score was still dropping. After looking through numerous online reviews, I decided to contact Lexington Law and boy am I glad I did. They worked hard from the beginning, answering all of my questions and takng control of the whole process. Six months later I am happy to have 10 items removed from my report and my credit score is climbing. 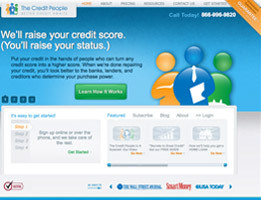 I would recommend them to anyone who needs help to maximize their credit score. I knew there were items on my credit report that were wrong but I had no idea what a difference it would make to have them removed. I did not have the time nor the inclination to contact the credit bureaus myself. I mean seriously there are three major agencies and I would have to send letters to each for every incorrect item and then watch and track their responses. Who has time for that? Lexington Law has a proven history of getting items removed and has more than ½ million customers. I am happy to report my score has increased greatly and I did not have to do much at all. I did not know where to start so I researched and found Lexington Law and they helped me so much. I am happy to tell everyone I know about them and the work they do and their helpful staff. Thank you. I had no idea what a credit report or credit score was until I went to buy my first car. I was flabbergasted at the interest rate I was offered; I mean on the car commercials they often say 0% for qualifying customers. Well I thought I would qualify but I was offered a rate of 6.8%. After that experience, I learned about ordering my credit report and was shocked at how many things were wrong. As a busy, working woman, I did not want to chase down the credit bureaus but I know I needed to get these wrong things off my report. I heard about Lexington Law from a friend after realying my store at the car dealership. I am so happy I did! They have been amazing to work with and have helped me remove 9 negative items from my credit report. My credit score went up enough for me to now qualify for refinancing and I am saving almost $90 a month on my car payments. Lexington Law s the best and can be trusted totally. When I got married, my husband and I wanted to buy a house. We both pulled our free credit reports and paid extra to see our credit scores. Mine was over 100 points lower than his and I did not know why. I was a new wife, full time employee and full time student and I did not have time to handle this. When I looked online, Lexington Law popped up first and I was impressed by their proven results. I signed up for the basic package on the spot and began the process ASAP. Within 3 months, 13 items were successfully removed and my score had increased considerably. We just signed on our new house last week with a very good interest rate and I owe so much to the help I received from Lexington Law! 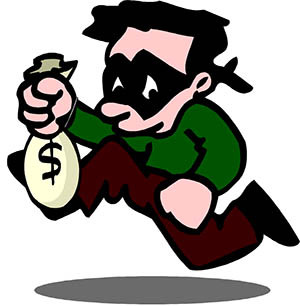 I started my road to credit repair with another company and quickly could see I was not getting what I was promised. I then turned to reviews for companies and looked at ratings with the better business bureau and Lexington Law came highly recommended. I agree! They produced results in only 3 months and my score keeps rising as items are removed. 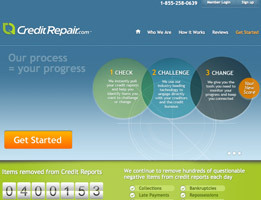 I am glad I finally found a company that stood up for me and fought against the inaccuracies on my credit report. I tell everyone I know about Lexington Law. I never knew that my credit report had so many incorrect items until I was declined a job because of my low score. I couldn’t believe it. I didn’t have a million credit cards and I paid my bills on time. I then saw I had numerous claims of late payments I knew had never happened as well as cards in my name that I did not open. I had been the victim of identity theft and I did not even know it. Lexington Law worked hard to remove the inaccurate items affecting my credit and I worked to close accounts that were fraudulent. My credit report is finally right but I had no idea how many things by credit could affect. I am grateful for the help of the paralegals at Lexington Law to fix it up. Best. Decision. Ever. Very helpful and I didn’t have to do a thing. Highly recommend. I wanted something easy and cost effective and after researching credit repair companies I knew Lexington Law would provide me with everything I wanted and needed at a price that was competitive. I am very happy with their service and help and it was very easy for me. Good experience. Paralegals are very helpful and knowledgeable. They are available to answer any questions. I liked that Lexington also gave me ideas on how to improve my score beyond just the disputed items on my credit report. When my husband lost his job, it was devastating to us. A high six-figure salary gone in one day. We didn’t have children, but we did have hobbies. Very expensive hobbies. And we had two dogs that we got professionally groomed on a frequent basis. We tried to keep up our lifestyle by using our credit cards for everything we couldn’t afford after he lost his job. That lasted a few months. As soon as we maxed them all out we realized we had no way to pay them back. We were hoping he’d have found a job by then, but he hadn’t. Suddenly we had to reevaluate our situation. We couldn’t afford to have the dogs groomed anymore. We had to stop paying for the country club and expensive vacations. But worst of all, we could only pay the bare minimum on our credit card balances. That wasn’t making the numbers go down. We didn’t know what to do. We were frustrated. We felt hopeless. So we called Lexinton Law. They helped us set up something immediately. We instantly felt relieved. When my husband finally did find a job, we were able to pay off our debt twice as fast. I didn’t really read the fine print on my credit card applications. The interest is what got me. I’m glad I found Lexington Law. I paid off my credit card debt. Now I’m totally debt free. I recommend Lexington Law to all my friends and family. They are very, very professional. They helped me out during a difficult time in my life. I’m so glad I didn’t go with any other company. I am proud to say I am finally debt free. Lexington Law was a major part of that. These people understand how to communicate and show you how to settle your debt in a legal manner that will improve your credit report for your future. My credit report was checked multiple times when applying for jobs which means my score dropped. Lexington Law helped me get my mild debt under control to make things better for future job endeavors (hopefully). I loved working with my rep at Lexington Law. I am not the type to write reviews but I knew I had to give Lexington Law credit because they’re the reason I got out of debt. It wasn’t easy, it was difficult and frustrating a lot of the time but Lexington Law helped me stick to my goals. Lexington Law thoroughly goes over every part of your credit report and shows you what you need to do to make changes for the long haul, which helps those in debt a lot. It is a service that I’d pay for again if I needed it. There is no reason to turn anywhere but Lexington Law when you need credit repair help. These people made it possible for me to understand my debt and make sure it doesn’t take hold of me ever again. I count my lucky stars I discovered them. Not only does Lexington Law Firm show you how to get out of debt, they also show you how to stay out of debt. That is a lifesaver for someone who is prone to spending and simply cannot get a handle on living a life outside of credit cards. The sense of accomplishment you feel after cleaning up your credit means you really look at credit cards in a totally different way. I am not longer itching to spend just because I have 2K available on a credit card. Because of Lexington Law I realize that that isn’t my money and if I don’t pay it back at the end of the month, I will end up paying a lot more for that fun night out. Lexington Law came into my life at just the right time and my father used them a few years ago when he was cleaning up his credit after a failed business venture. Lexington Law Firm is the only company that cares about clients and how they perform financially after you’re done with their services. I am so excited to be on my way out of credit card debt. Every milestone is a celebration and my rep helps me realize this. I decided to take out a loan to help me cover the cost of my wedding. I thought I was only doing it once, and I wanted to do it “right.” Well, when we ended up getting a divorce before the loan was paid off, I had trouble credit wise. Thanks to Lexington Law, I was able to get everything sorted out. I learned my lesson. I will not ever finance something like that again. I’m in great financial shape now, and I will stay that way. If I ever decide to marry again, I’ll make sure I really do it right. The first car I ever bought was totaled about two years into my five year loan. I did not purchase gap Insurance, which I later found out you can only buy when you finance the car initially, so I was responsible for the remaining balance on the loan that was left after my insurance company paid what the car was worth. Because I still owed $7000 on the loan, I was responsible for making monthly payments on a car that I no longer owned or could drive. This meant I had to get another car without auto financing, and eventually the car payment fell by the wayside because I had to do what I could to make in his meet otherwise. This dramatically impacted my credit score and made it impossible to secure another car loan or a mortgage. With the help of Lexington Law, I was able to renegotiate with my creditor and get the account in good standing in a manner that I could afford. Though it’s not completely fixed yet, I am well on my way to having the credit score that will help me be successful in life. Sometimes financial lessons are learned the hard way. When I finance my next vehicle, I will be sure to invest in that gap insurance. My satisfaction with Lexington Law’s credit repair services is through the roof. I came in thinking there was nothing I could about my terrible credit but Lexington Law soon showed me that I was wrong. In no time, negative items were removed from my report. I am so happy. I have always tried to budget and save for larger purchases so as to prevent the need for credit. Most the time, I am financially responsible, never making purchases for things I cannot afford, but I had to turn to credit to finance my education, because I was not able to pay for the whole bill with scholarships and grants. The student loans have helped me build my credit, which led to credit cards. Default thing on my credit cards put my credit score in a bad place, So I started searching for credit repair companies to help me get things back in line. After about a year of working with Lexington Law, I was able to restore my credit score. I now have one credit card for emergencies, is significantly lower student loan balance, and a mortgage. I never would have been able to become a homeowner and start my family off on the right foot without help from Lexington Law. Since working with them, I have sent all of my friends and family who have ever experienced financial trouble to them. They are a great option for you if you do not want to declare bankruptcy and ruin your credit for the next 7 to 10 years. When I got my mortgage, I was over the moon. About 5 years in, I decided I should refinance to try to make some improvements. I didn’t think about what my credit looked like compared to when I got the loan. When I tried to refinance the loan, I didn’t get better terms because my credit had suffered. I had Lexington Law credit repair services help me get my credit back in line. I waited another year, got my refinance, and saved a lot of money in the process. It was worth it – and I have my nice new kitchen that adds value to the house. I am beyond happy with the work and the customer service provided by Lexington Law. Their credit repair services really went above and beyond what I was expecting. 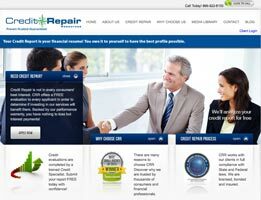 Knowing that there is an affordable credit repair company out there really sets my mind at ease. I’m so glad I’m a Lexington Law client.